For the infrequent visitor, here’s a quick look at what’s been happening at Seth’s blog since the beginning of the year. I picked them for variety, for the frequency of referrals and because they made me think. Link: Seth’s Blog: Don’t Shave That Yak!. Link: Seth’s Blog: The ever-worsening curse of the cog. Link: Seth’s Blog: The persistence of really bad ideas. Link: Seth’s Blog: The secret army of ad clickers. Link: Seth’s Blog: Step by step. Link: Seth’s Blog: What you need to know about BitTorrent (part 1). Link: Seth’s Blog: More about words. And two bonuses for you! 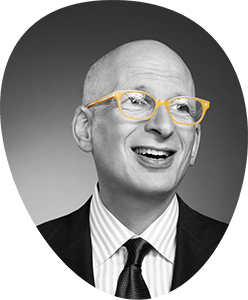 and last year’s list: Seth’s Blog: The Best Seth Godin Posts of the Year (2004).